The Nurses Station: New Poll! What Would You Like to See Permanently Banned From General Hospital? I like to refer to it as "glass-shattering," and no offense to Jason, but I think it's Brenda's best defense against the Balkan. Yes, I'm talking about that maniacal laugh of hers that she breaks into without warning. Cities may crumble in the wake of that high-pitched cackle. I love Brenda to pieces, but her laugh, much like her assistant's cleavage, could be categorized as a weapon of mass destruction. Not to mention, I have a hard time believing that anything is truly THAT funny. 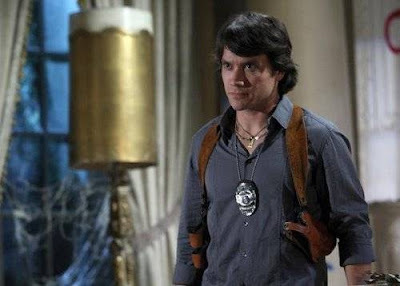 When Lucky went undercover as Ronan O'Reilly, he adopted an Irish brogue and an unfortunate wardrobe that I'm sure General Hospital felt just screamed "Irish gun-for-hire." (More like "tacky," GH wardrobe peeps.) Both have quickly become irritating. I'm convinced that Jonathan Jackson had to learn an Irish accent for a previous role, and not wanting the skill to go to waste, has insisted it be written into his GH scripts. If you recall, he also pulled out "The Logue" (Lucky brogue) when trying to break into Helena's residence in Greece to save his father. I'm hopeful though that we're getting a reprieve from both the accent and that black, plastic, garbage bag-looking jacket he's been wearing for weeks now. Now that Siobhan knows his true identity, he doesn't have to keep up the accent as much, and on Friday's episode, he finally lost that fashion don't of a jacket. Just because you're playing a killer, Lucky, doesn't mean you can't look good doing it. And no, black plastic does not make you look older than 14, or any tougher. The pinkie ring's a nice touch though. I think you all know how I feel about these. If by some chance you don't, click here. I'm not sure what the weather is like in Ireland at this time of year, but Siobhan seems to be the only one trying to ward off the cold. I guess at some point GH decided that we may forget that Dante's a cop, so they strung a ginormous badge around his neck to remind us. Or perhaps its true purpose is to deflect bullets, should his father Sonny decide to shoot him point-blank in the chest again. Dante's continued to wear it, even after blinding a man on the docks after the sun reflected off of the badge and into the poor man's eyes. Seriously though, it just looks plain silly, and I'm not sure how the man is able to walk upright under the weight of that badge, plus all of the other chains he wears. 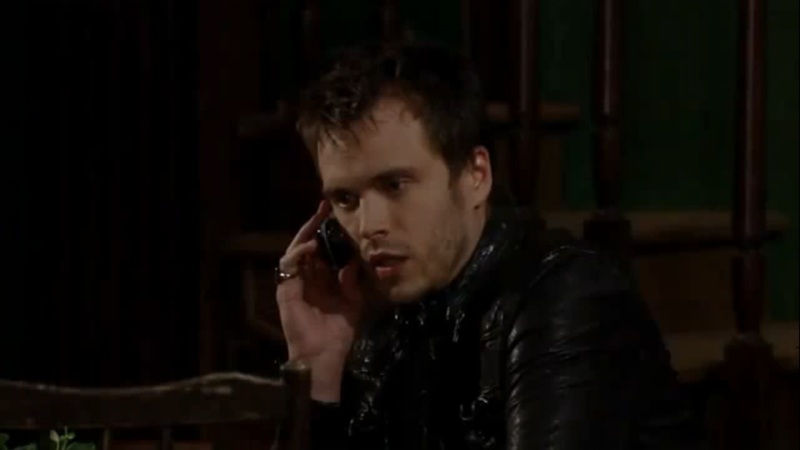 Thanks to About.com: General Hospital Fans for this image. I have to agree, Kelly ... that's what got my vote! Although Suzanne's cleavage was a close second.